Samik Chatterjee from J.P.Morgan has very slightly cut the target price for Apple stock to $266 from $270 because of the overall economic climate, and the so-far "tepid" response to the iPhone XR. In a note seen by AppleInsider Chatterjee is interpreting reports from the supply chain and retail differently than other analysts. Instead of Apple's price-points on the iPhone line being a weakness, the analyst considers it to be a strength. Citing a "strong ASP of $793 vs. consensus of $751," Chaterjee contends that Apple is successful in "driving consumers to its top-of-the-line phones with limited challenges" with the pricing model, and wide range of iPhones at prices as low as $450. However, the strong American dollar is posing a problem in emerging markets. With the dollar's continuing strength, this has the effect of driving up effective prices in the developing markets, which have unique fiscal challenges of their own. 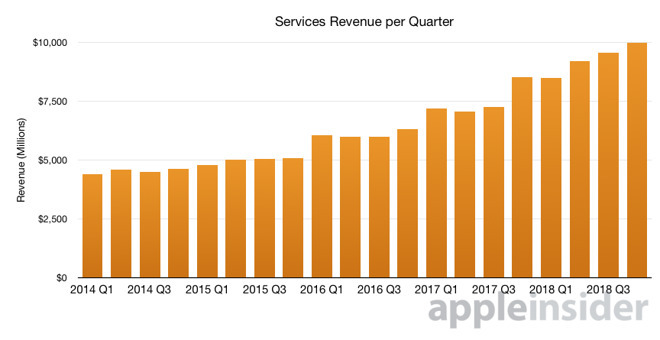 Services continue to be a strong point for Apple globally, though, which is seen as a potential off-set to any drop in iPhone sales. Chatterjee believes that internationally, "iPhone unit volumes could remain pressured in the current macro backdrop" but the challenges are seen as largely cyclical. As a result, the trim in Apple stock price is very small, from $270 to $266, with strength in the stock from the "under-appreciated by investors" Services revenue. The price change appears to be just a small refinement, and maybe a temporary one at that. 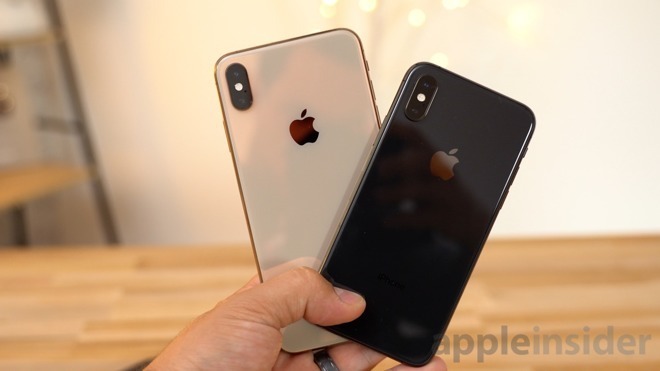 Chatterjee specifically notes that the iPhone XS and iPhone XS Max had better-than-expected demand from consumers alongside the slower than anticipated iPhone XR launch. Chatterjee expects that there is a deferral of planned iPhone purchases as a result of several global economic factors, which will "drive a stronger pent up demand" when economic conditions improve, however. Challenges to the $266 price include a deceleration in the smartphone market more than expected, an increase in competitive pressures from other vendors such as Ming-Chi Kuo from TF Securities is seeing, and failure of acquisitions to develop anything meaningful. Also on Monday, Apple suppliers Lumentum and Japan Display have cut financial forecasts, citing a decrease in expected orders from Apple. 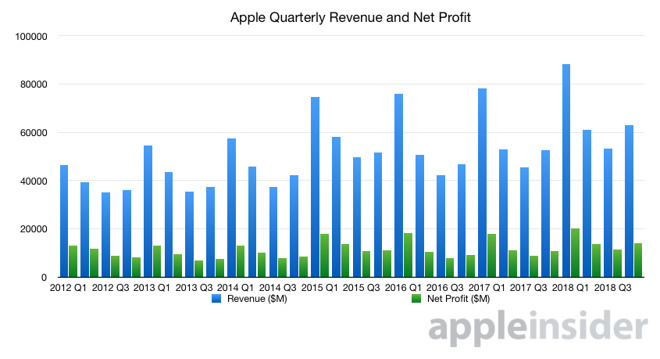 However, it isn't presently clear how much these cuts vary from years past, nor is it clear exactly what the two suppliers were expecting based on information from Apple, or based on internal guess-work by the companies themselves. Apple is in the midst of a sell-off. The stock started taking a hit when Apple announced that it would no longer report unit sales of hardware, which has continued largely unabated since, despite the last quarter being a record-breaking one for the company.